Stadium was built in 1976 and though never reached capacity comparable with the largest arenas of Madrid, it still has quite a story to it. 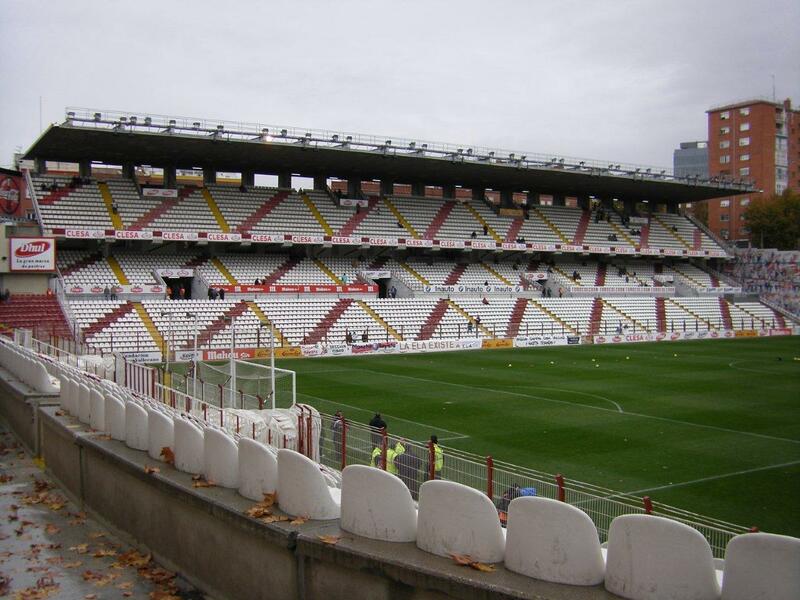 Apart from Rayo Vallecano, club playing in Primera División from time to time, some of the world's leading singers and bands performed here, including the likes of Queen, Metallica or Bob Dylan. 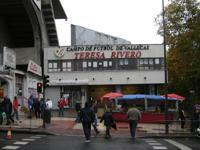 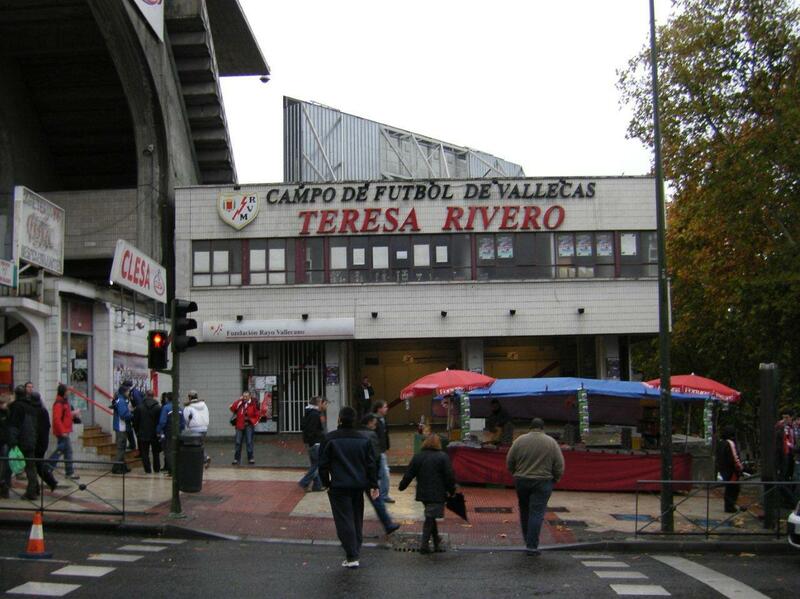 Teresa Rivero was also a star as she was the first woman to rule a football club in Spain's top division. 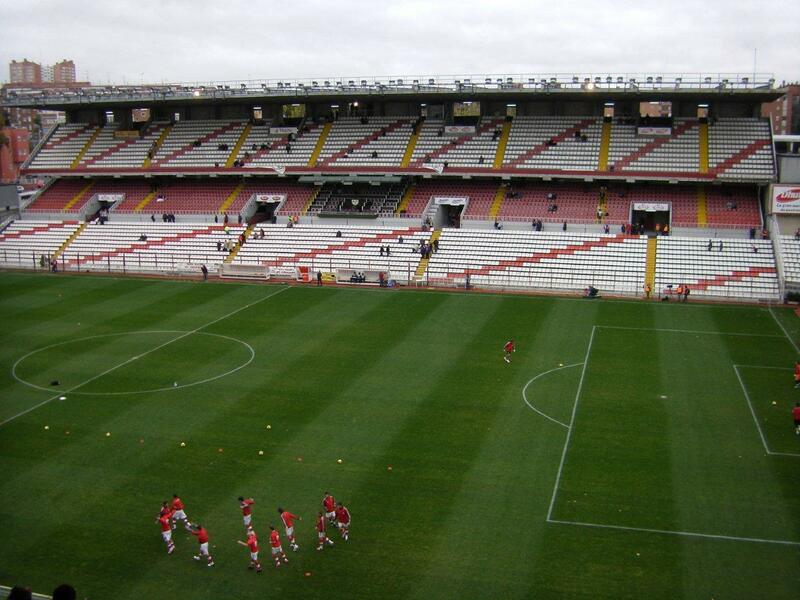 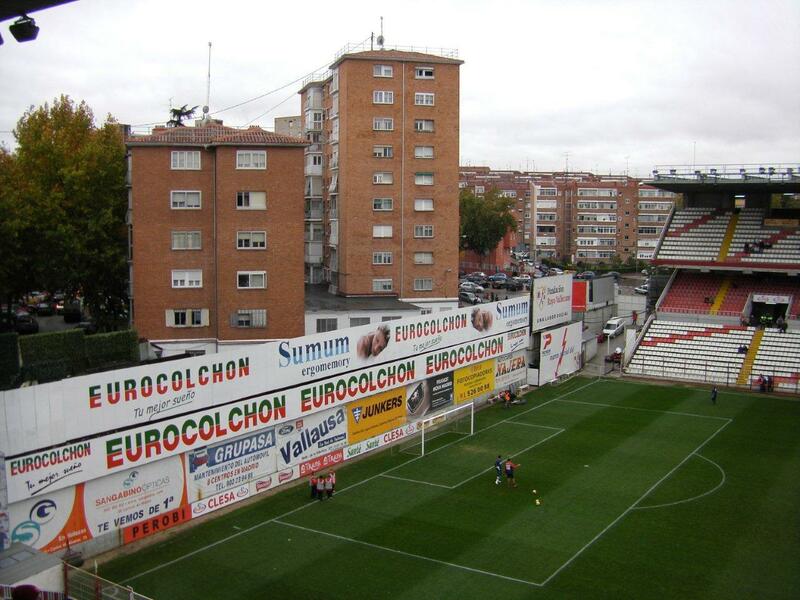 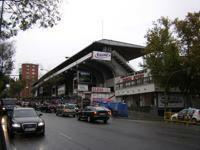 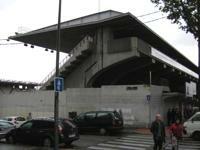 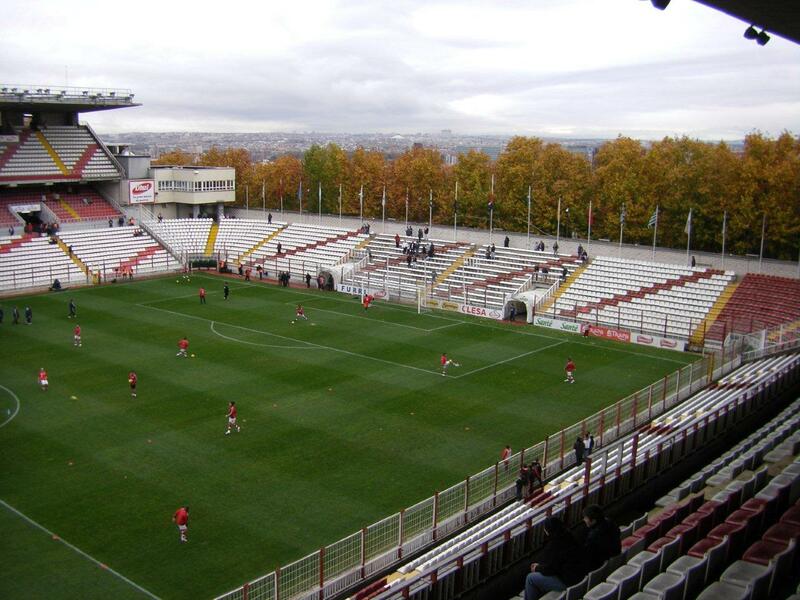 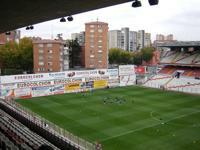 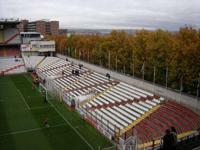 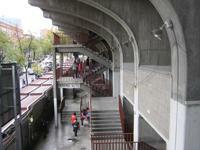 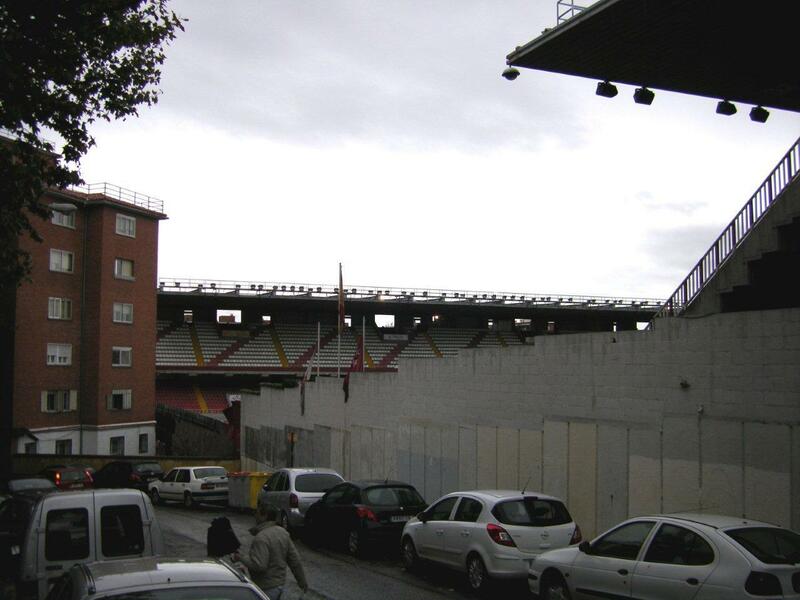 The ground bared her name from 2004 but in 2011 Rayo Vallecano announced they'd changed the name to a neutral one. 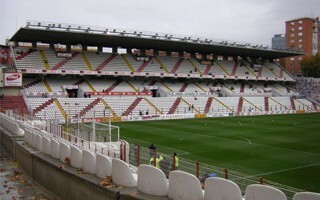 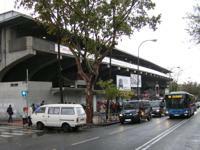 The ground consists of three stands. 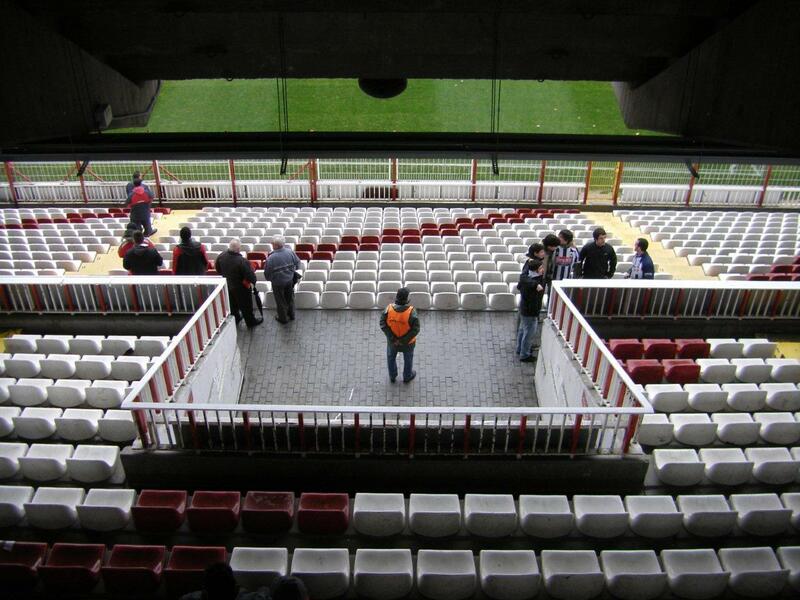 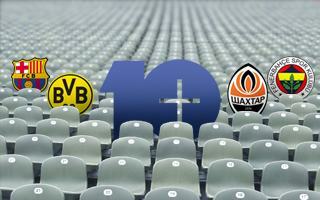 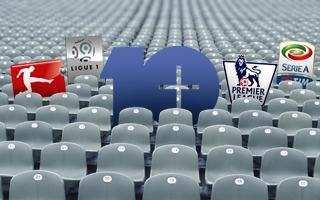 Two of them are located alongside the pitch and both have two tiers of seating with parts of the fans covered. 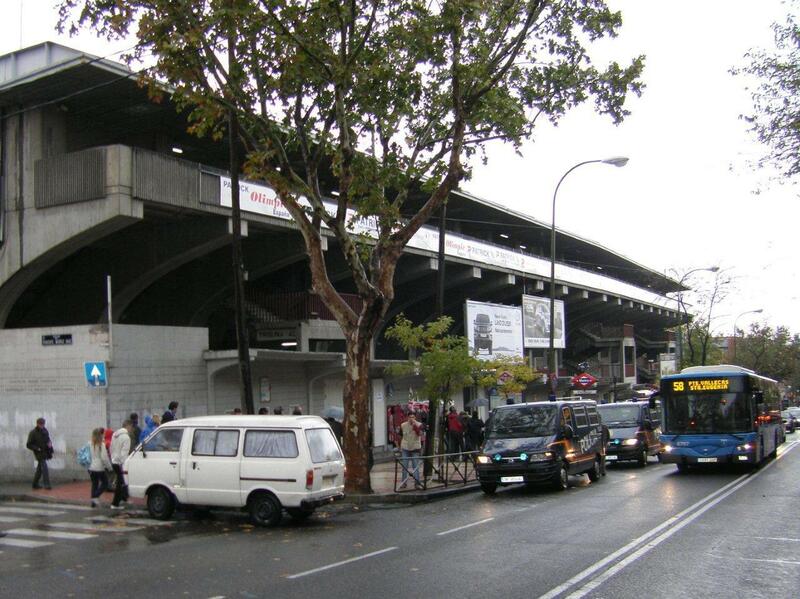 Behind one goal is an uncovered stand for local fanatics, known as the Bukaneros. Behind the other goal - a wall with banners and information boards was raised. 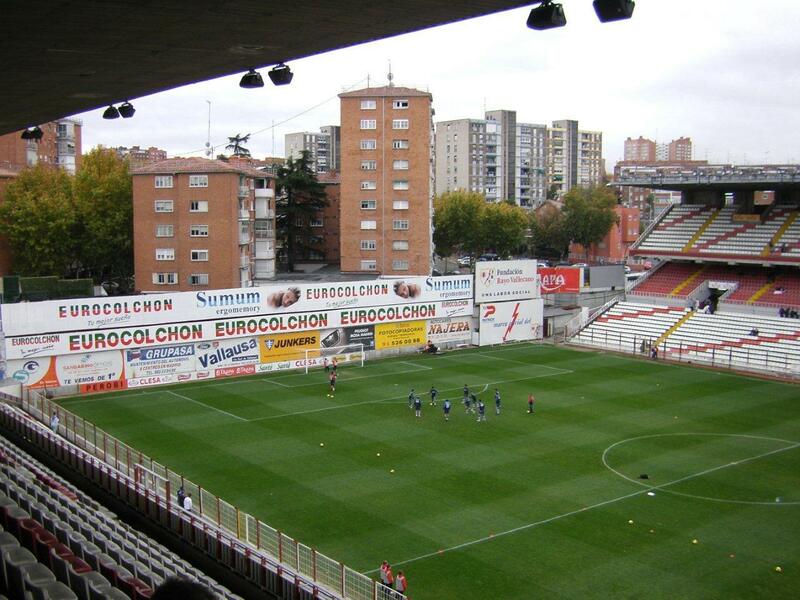 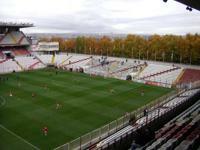 In 2011 Campo de Fútbol de Vallecas became the last ground in Spain to dismantle fences surrounding the pitch. 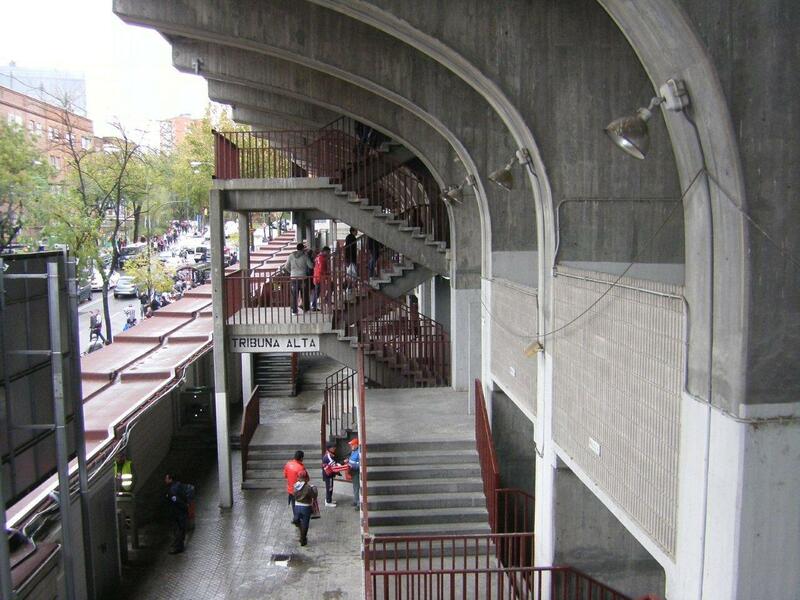 A solution once thought to be safe proved quite the opposite in 1990's, but prevailed for some reason in this case. 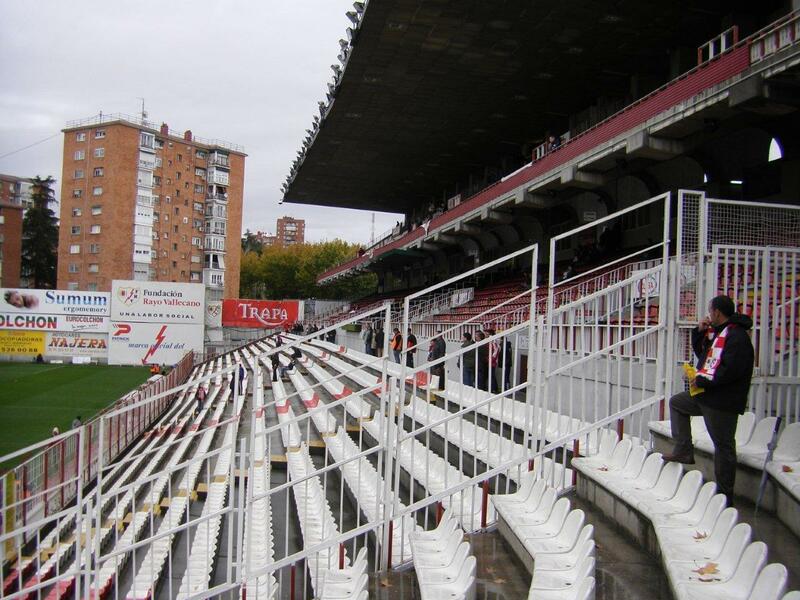 Along with fences two rows of seating were taken down, decreasing capacity by 792 seats. 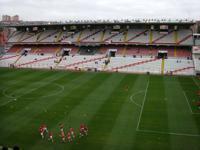 Therefore a ground once able to accommodate 20,000 people (and 15,500 since seats were installed in 1996) know can take up to 14 708 supporters. 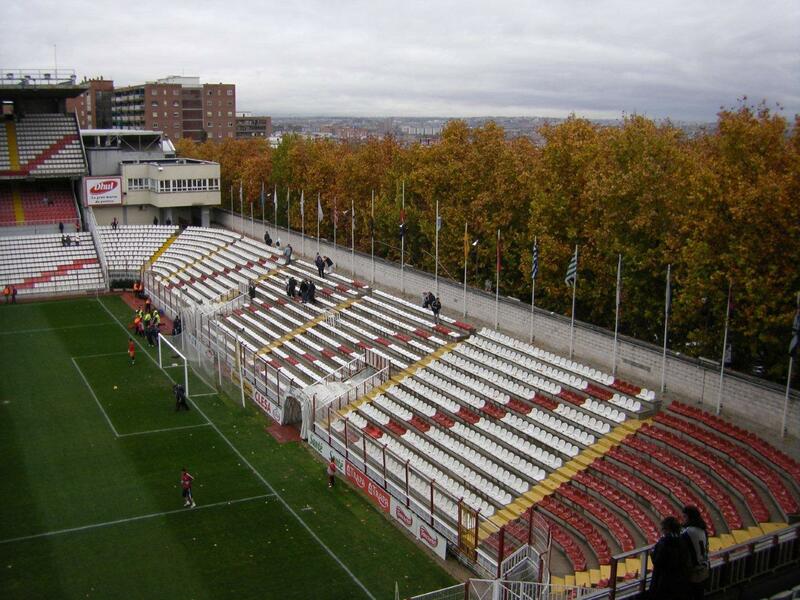 After accident involving a small child the city of Madrid decided to ban all games with spectators at Rayo Vallecano's stadium. The decision comes as a shock to Rayo, who now have to find a solution to play games at home somewhere else or at different dates. 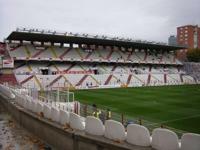 The galactic rival was coming to fight Rayo Vallecano on Sunday, but both sides witnessed a very unusual sight as part of floodlights weren’t working. 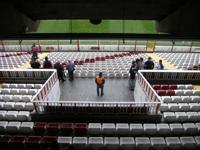 Despite last-gasp attempts the game had to be postponed.